“Why will you take a life you did not create? Why will a human being have the heart to kill another human being? Maka why? Smh……. 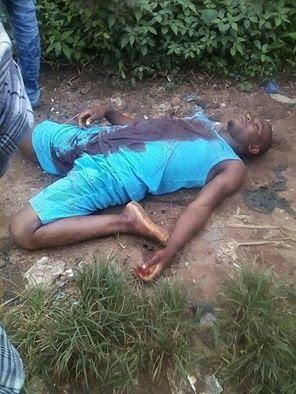 this happened at Ibe street Orji at imo state around 3:15pm yesterday afternoon. A guy killed his neighbour just because he sold an itel phone for him and the itel phone has battery problems and he stabled him on his chest, the guy died, the guy died instantly just because of common phone battery. May God have mercy. the guy that stabled the deceased ran away but was later apprehended by the street guys who beat him up and handed him over to the police..! What a life! RIP”.